One-bedroom sea view apartments are on a higher floor, with a magnificent view of the Prainha Village with the sea as a back drop. The sunsets are amazing! This beautifully decorated modern 1 Bedroom apartment sleeps 2-3 people. These 1-bedroom apartments are also equipped with living room with leather style sofa bed for the 3rd person. 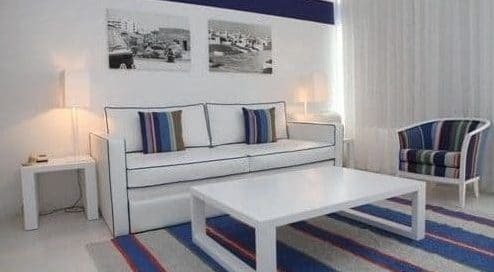 These apartments in Prainha Clube (The Hotel) have all the up to date modern features including Free WIFI and cable TV. Complete WC with hair dryer, air conditioning, telephone, & Safe. Cable TV, radio, wireless access and balcony or terrace over viewing the swimming pool and Prainha Village. (Standard decoration/blue,white or red WC, safe (extra charged) and terrace and / or balcony. 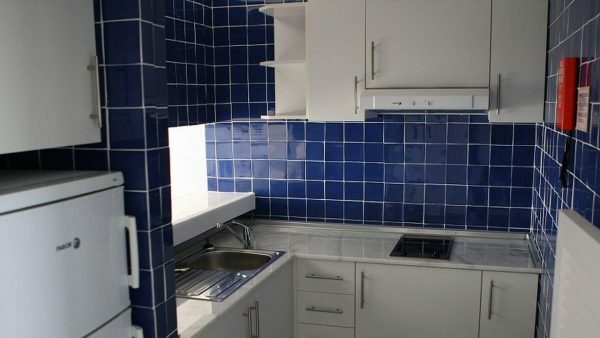 Kitchen has , fridge, oven and electric plate, cutlery, stove, toaster, microwave, coffee machine. 1 large reception room along with a balcony and or patio outside area . They are located in the main Hotel onsite On site and very near to reception, and coach pick ups and transfers so you will not have far to go. These beautiful modern apartments were fully refurbished in 2009 and have all the latest features for your comfort. 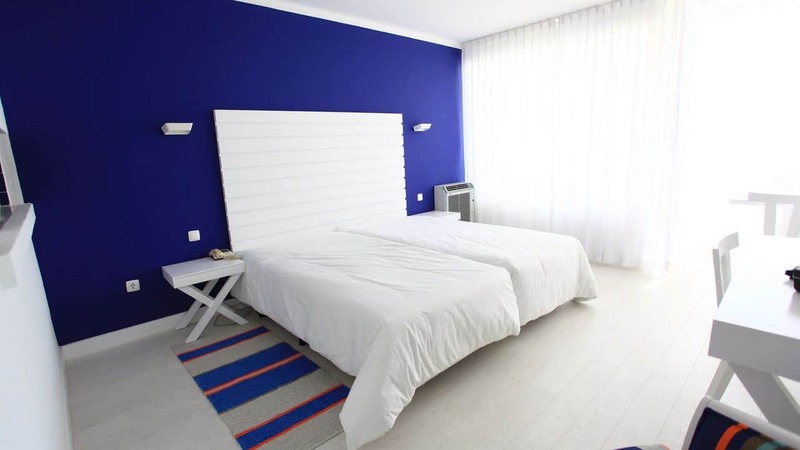 Your apartment theme may either be Blue , white or red. You will need to get in quickly for one of these apartments, as the do sell out very quickly.